These courses follow a method of learning called Theological Education by Extension (TEE), which is used extensively around the world in many cultures. SEAN International, an interdenominational foundation that operates in more than 100 countries and in over 70 languages. Learn more about SEAN International here. 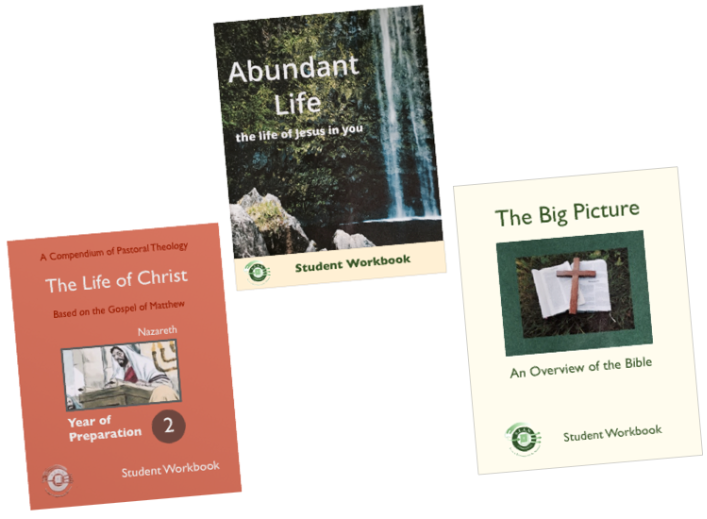 The SEAN ministry courses offered by CMT are designed to immerse students in the Word of God. Most often, important topics and themes are learned through an exegetical study of the Scriptures, where inter-related truths can be understood in a balanced perspective. For instance, students learn homiletics, the art of preaching, by studying broad passages that show how Jesus and the Apostles preached. At the same time, they grasp techniques of hermeneutics, how to interpret the Bible, as they examine those passages. Simultaneously, they identify and discuss key doctrines that are found in the Scriptural texts and learn how Christ and the leaders of the early church resisted the false doctrines of their day. Enrollment in a Center For Ministerial Training course using SEAN International materials costs $25 per student.